I cannot do better than the statement published on the Vintage Projects website, so I've reprinted it here almost verbatim, modified only to tailor it to Piclopedia's differences. 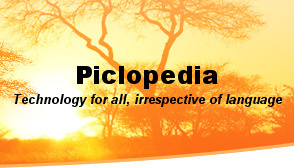 The plans published on Piclopedia will be, to the best of our knowledge, either outside of copyright and in the public domain, are published with permission, and/or are published here for free, educational and historical purposes. These plans are not for sale and we direct any users of them to not attempt to sell them. However, because of the byzantine copyright registration systems in the United States and elsewhere, from time to time we may accidentally publish a plan that is protected. If we have made a mistake, and you are the original author of any of these plans and believe them to be under copyright still, please email us describing the circumstances. If we are unable to reach an accord with you allowing us to publish your copyrighted materials, we will remove it as soon as possible. You may do your own research at the U.S. Copyright Office. Another simple chart is available at Cornell's Copyright Information Center. Under the law in effect before 1978, copyright was secured either on the date a work was published with a copyright notice or on the date of registration if the work was registered in unpublished form. In either case, the copyright endured for a first term of 28 years from the date it was secured. During the last (28th) year of the first term, the copyright was eligible for renewal. The Copyright Act of 1976 extended the renewal term from 28 to 47 years for copyrights that were subsisting on January 1, 1978, or for pre-1978 copyrights restored under the Uruguay Round Agreements Act (URAA), making these works eligible for a total term of protection of 75 years. Public Law 105-298 , enacted on October 27, 1998, further extended the renewal term of copyrights still subsisting on that date by an additional 20 years, providing for a renewal term of 67 years and a total term of protection of 95 years. A work that is created on or after January 1, 1978, is automatically protected from the moment of its creation and is ordinarily given a term enduring for the author's life plus an additional 70 years after the author's death. In the case of "a joint work prepared by two or more authors who did not work for hire," the term lasts for 70 years after the last surviving author's death. For works made for hire, and for anonymous and pseudonymous works (unless the author's identity is revealed in Copyright Office records), the duration of copyright will be 95 years from publication or 120 years from creation, whichever is shorter.